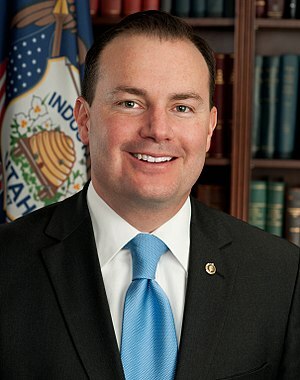 Senator Mike Lee appeared yesterday at a GOP sponsored Freedom Forum at the local college. With less than 12 hours notice, I decided not to attend. My comments that follow are based on an account published today in The Spectrum, our local Saint George newspaper. Apparently, Lee did not explain that under the Ryan plan, annual deficits will be cut gradually while at the same time the composition of the budget is shifted dramatically to favor military expenditures over safety net programs. Under GOP leadership the elderly and the poor suffer most during recessions and the Great Recession is no different. Instead of increasing our military budget, we should be making dramatic cuts there so that we can maintain or increase our safety net programs. Depending on the source, the US has between 700 and 1,000 foreign military installations, and we are moving into the African continent, an unstable area that will lead to more wars. We can no longer afford to be the world’s policeman nor should we. Recently I attended a town hall here in Saint George to meet my newly elected US Representative Chris Stewart. Chris is a retired USAF pilot and a best-selling author and a member of the GOP. He represents the 2nd district in Utah which is geographically the largest of our four districts, stretching 320 miles from Saint George to Chris’s home in Farmington, north of Salt Lake City. 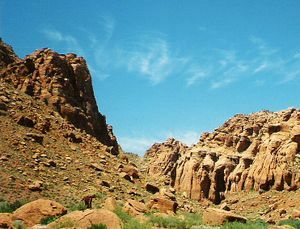 Chris lives farther away from Saint George than do our two Senators, Orrin Hatch in Salt Lake City and Mike Lee in Alpine, a Salt Lake City suburb. I believe that Congressional districts should be compact and competitive so that my vote can make a difference. Only the 4th district is both compact and somewhat competitive, and it is now represented by Jim Matheson who was my representative in Congress before the 2010 census and subsequent redistricting. I attended the town hall to see how many attended and the strength of the defund Obamacare movement. There were between 600 and 700 attendees, mostly elderly because of the 5:30 pm timing and all were white. They gave raucous support to defunding Obamacare. Chris stated his strategy was to defund or delay. Chris spoke for a short time before opening the floor to questions. He asked for short, focused questions, but most were long and rambling. Chris said that the sequester was a terrible law, but that he voted for it. As an excuse, he stated that the sequester was President Obama’s idea. That is false. 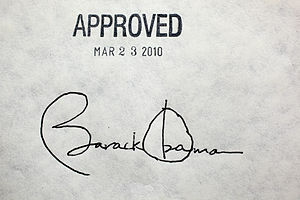 In addition, if it were Obama’s idea, the GOP would not have voted for it, since they oppose the President at all costs. I really do not understand the logic of opposing Obamacare (the Affordable Care Act) by the vast majority of the attendees at the town hall. I assume the majority are on Medicare and will scarcely be affected by Obamacare at all. Perhaps more people are on Medicare Advantage than I thought. When I turned 65 and was eligible for Medicare, I investigated the choices and selected Medicare over Medicare Advantage because I was convinced that Medicare Advantage was a GOP plot to wean seniors from Medicare and then terminate Medicare and voucherize Medicare Advantage. Medicare Advantage costs the government more than Medicare and will be restructured under Obamacare to help fund extending insurance to 30 million of the uninsured. The number one reason people visit Saint George here in warm and sunny Southern Utah is softball. With that thought in mind, I decided to create a fictitious league of teams from the surrounding area. Initially there were four teams, but I have decided to expand it to eight. These teams do not exist, but they should. My favorite is the Mesquite, Nevada team.